Now that I am commuting up to London again, it seems only appropriate that I look into the fascinating history of Brighton Station. 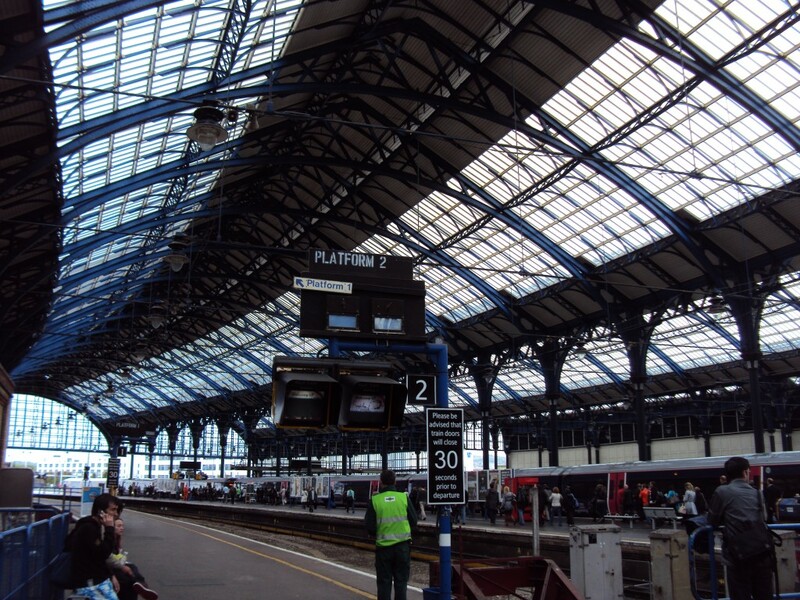 Of the eight railways stations in Brighton & Hove, Brighton Station is of course the largest. Maybe that’s why I haven’t dedicated a single column to it over the past five years – it seemed too obvious a topic perhaps. Its rendered classical façade, glass canopy and enormous curved train sheds really are unmistakable but rumours of hidden areas to investigate have drawn me to write now. The idea of the London to Brighton line was not popular in the press initially with one newspaper reporting that “Many were of the opinion that a railroad to Brighton would inundate the town with the scum of the Metropolis”. It opened in stages and was complete by September 1841 with London Bridge serving as its London terminus. ‘5,000 man and 50 horses’ were famously responsible for constructing the line which featured five tunnels (including the castellated northern entrance of the Clayton Tunnel), a number of huge cuts and the magnificent Balcombe Viaduct. 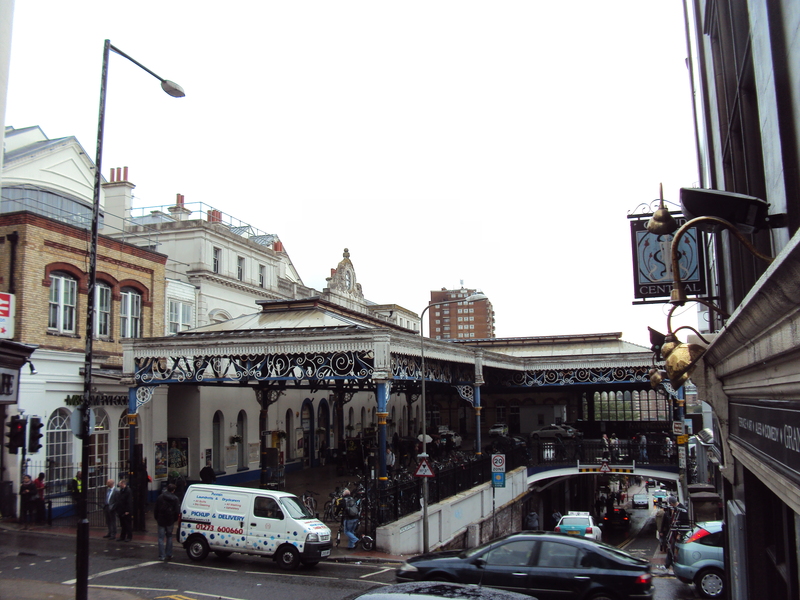 Sir John Rennie and John Rastrick were the line’s engineers but David Mocatta was responsible for Brighton Station itself. Several prominent modifications have transformed the building over the years though the original building can quite clearly be seen still. The bridge over Trafalgar Street, for example, was not original and was in fact added in 1845 (and subsequently widened in 1863 and 1865). The platforms have been extended on a number of occasions but the biggest changes took place in 1882-3 when elegant canopy at the front and the huge arched sheds were added. I’ve heard that there are all sorts of interesting hidden spaces beneath the platforms and will be in touch shortly with the powers that be to find out more. Maintenance and, indeed, fabrication of carriages took place at the Brighton Railway Works to the east of Brighton Station. Whilst the goods yard at Hove Station and the entirety of the former Kemp Town Station were built over some time ago to become the Sackville Trading Estate and Freshfield Industrial Estate respectively, the land at Brighton sat derelict from 1969. It is now home to the rather disappointing and inaccessible so-called ‘New England Quarter’. A large plot remains undeveloped so hopefully something exciting will be built to add life to the area. Another supermarket perhaps?